What did you think of the Russian company's performances at Covent Garden this year? 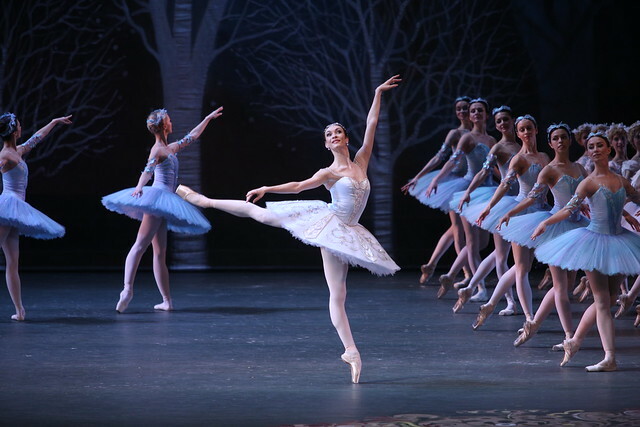 What did you think of Alexei Fadeyechev’s dazzling restaging of the Petipa classic? @BolshoiOfficial @TheRoyalBallet Tonight's Don Quixote was top quintessential ballet. Was I in ballet heaven? Semyon was esp phenomenonal. What did you think of the Russian company's spellbinding adaptation by Yuri Grigorovich? What did you think of The Bolshoi’s acclaimed production of Shakespeare’s boisterous comedy? #Bolshoi #TamingOfTheShrew genuinely one of the best things I have ever ever seen. Loved every second! Immense dancing, wonderful choreog! #Bolshoi Taming of the Shrew was imaginative, sharp, full of character and wonderful to watch. What did you think of Alexei Ratmansky’s captivating revival of Vasily Vainonen’s The Flames of Paris? Bolshoi's Flames of Paris @ the RoH may not be an essential ballet but oh it's fun. Thought I wouldn't like it. Like it. You've got to admire explosive energy of Bolshoi Flames of Paris. @RoyalOperaHouse the #flamesofparis was amazing this afternoon. Performed by the #bolshoi ballet company... Breathtaking! What did you think of Bolshoi’s production of Petipa’s grand classic? I'm seeing Le Corsaire twice tomorrow - not because I love it that much but because I'll have Bolshoi withdrawal symptoms when they're gone. #ROHBolshoi Le Corsaire never done by Royal ballet and after tonight's Bolshoi performance I can see why. Boring,silly and lots of twirling. What did you think of the Bolshoi’s residency? Having seen Giselle earlier this year we enjoyed hearing Adam's score. We enjoyed the lavish Bolshoi sets and the skilful dancing with the amazing attention to detail. Thoroughly enjoyed the Bolshoi's Flames of Paris on 6/8/16 with Kristina Kretova and Vyacheslav Lopatin (despite a couple of stumbles). Act 2 better than Act 1. Confirmed my longtime suspicions that whilst the Bolshoi are undoubtably one of the World's leading companies, the Royal Ballet are THE World's leading Ballet Company! A highlight of the summer for me having witnessed all 5 productions and 3 of them twice. The strength in depth of the dancers is astonishing and the Orchestra is consistantly good. One quibble - why not remove the front curtain for the whole of all performances ? It would improve sight lines for those on tighter budgets. I thought Don Quixote with Maria Alexandrova and Vladislav Lantratov was magical. Le Corsaire, I thought, was too long in Acts 1 and 3, but Act 2 was wonderful. Terrific company, excellent orchestra. A privilege to be able to see them in London, Can't wait for the new Royal Ballet season! Thoroughly enjoyed Fadeyechev's new production of Don Quixote - the characterisation, the designs and the character dances were beautifully done. Maria Alexandrova and Vladislav Lantratov were stunning. Also saw performances on other nights: Olga Smirnova, Semyon Chudin, Artem Ovcharenko, Yulia Stepanova and Nina Kaptsova are simply brilliant. The company is on top form! I was there for first night Don q - many sharp intakes of breath around me when curtain went up at the beginning of each act. Visually stunning and technically superb through all ranks of the company. However, dramatically they are no match for our Royal Ballet dancers. I found myself missing Marianela Nunez about ten minutes in to act 1. Then went to Le Corsaire last sat mat. Hugely disappointed. It was too long and in parts boring. I preferred ENB's version. Can't wait for new RB season ! band. Dress code guidelines need to be re-introduced and all mobile phones blocked within the actual auditorium. Please clarify the dress code statement remembering that the tax payer subsidises this venue. I absolutely loved The Taming of the Shrew and would love to see it again. E. Krysanova is sublime. And A. Tikhomirova is too. 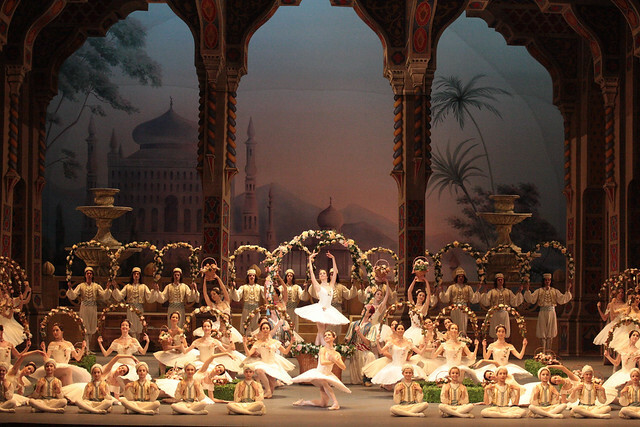 Le Corsaire seemed a bit old-fashioned in comparison but still amazing. The Corps de ballet were just perfect.